Previously existing only in the world of science fiction, artificial intelligence is gradually evolving into an everyday business tool. Companies can now use AI to identify trends and insights in vast amounts of data and accelerate processes, resulting in much higher organizational competitiveness. Prominent tech companies have gone beyond traditional software to offer more comprehensive platforms and solutions that automate business functions and perform analytics operations. Major vendors like SAP and Siemens offer these state-of-the-art software suites and tools, but there is a growing quantity of providers in the market, as well. AI is helping humans broaden their abilities in several ways. For example, they can boost our cognitive strengths and communicate with customers, freeing up employees for higher-level tasks. 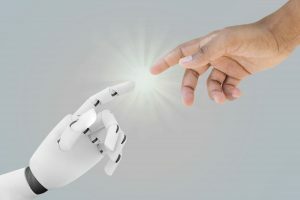 Think about the tracking business benefits of AI. For some business functions, lighting-fast speed is key. One such function is the recognition of credit-card fraud. Businesses have just seconds to figure out if they should approve a given transaction. If it’s counterfeit, they will probably have to accept a loss. However, if they reject a legitimate transaction, they lose the purchase and risk angering a customer. AI solutions improve the speed and accuracy of credit fraud detection for millions of transactions daily. With AI, companies are equipped to offer customers with individually customized brand experiences on a grand scale, in much the same way music-streaming services like Pandora use AI algorithms to produce personalized playlists for millions of users. To achieve this, AI technology can sift through and process copious quantities of information to suggest particular offerings or actions, giving customers the opportunity to pick from a personalized group of choices. The rise of AI offers the ideal chance for companies to upskill their workforce. Because AI takes the burden of repetitive, mundane tasks from employees, they have more time and freedom to improve their skill set. As companies become more efficient, more resources can be invested in improving the existing workforce. This, in turn, produces a strong business culture and supports employee retention as staff members have more time for learning and problem-solving. This also means a better customer experience, as research shows happy employees mean happy customers. AI can play a supporting role in this positive cycle. The rise of AI can have substantial benefits for the way companies use their workspaces. Trends like remote working or flexible hours shouldn’t be a one-size-fits-all approach, and the rise of AI will allow companies to maximize the benefits of these labor developments, making workers happier and more effective. In the future, companies will be capable of locating efficiency savings through scheduling, adjusting lighting, and designing acoustics in workspaces. This will result in the redesign of the office as we know it with an eye toward greater efficiency. At SSI, we support our clients use of technology by providing them with custom talent solutions. Please contact us today to find out how we can support the success of your organization.